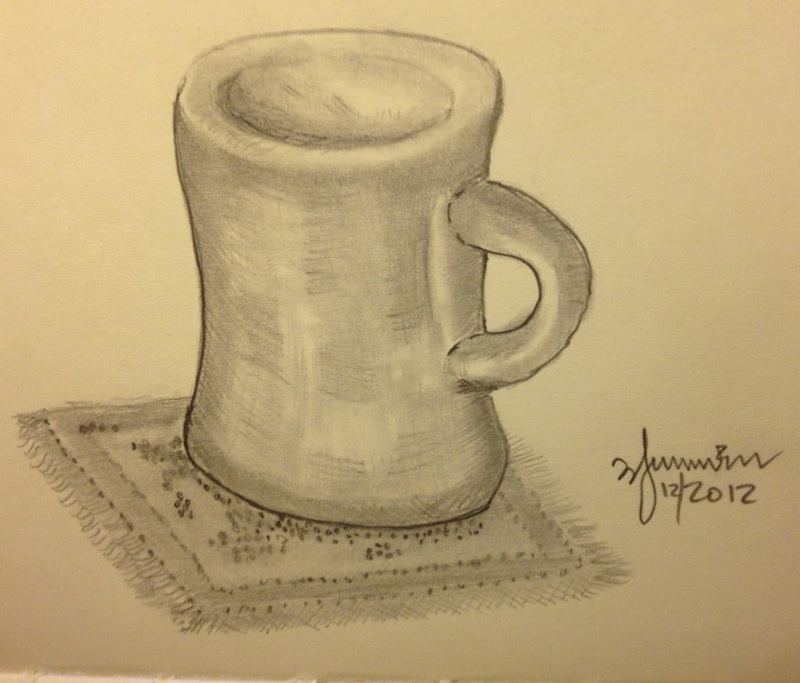 A very quick pencil sketch of my coffee mug on a rug at my office. Number 2 pencil and blending stump in a small Moleskine sketchbook. This is the theme of the Atlanta Urban Sketchers Group this week.